The seasons change and with them the availability of fresh, local produce. Crisp fall apples, tart cranberries, juicy summer strawberries, fresh figs — would they be so special if we could eat them all year round? Reinventing a recipe keeps it fresh and enjoyable. 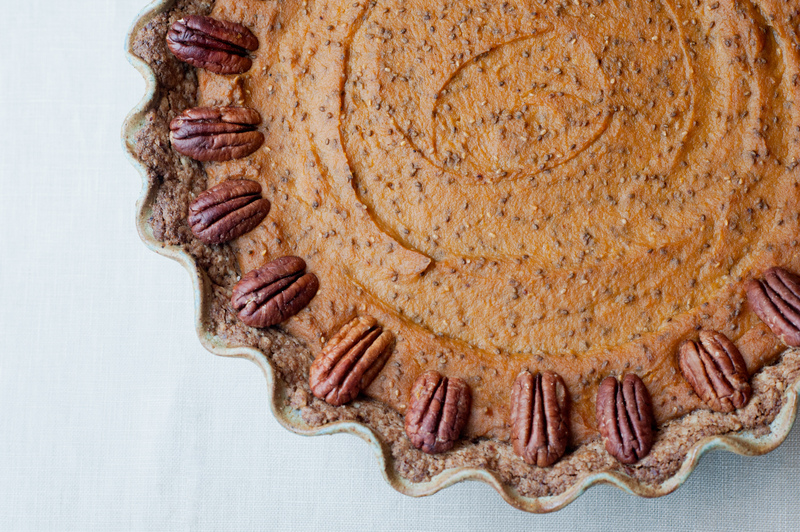 For example, you can make Apple Blackberry Pie in fall, Pumpkin Pecan Pie in winter, Lemon Tart in spring, and Blueberry Crumb Pie in summer. 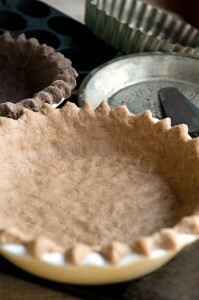 For variation, use the same pie crust and change the filling. 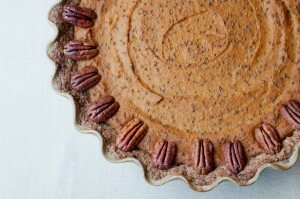 Create a new variation to the pumpkin pie filling by adding sweet potatoes, or substituting butternut, or kuri squash. Use more cinnamon or cloves. Change the pie crust, too by switching the flour, oil, or sweetener. 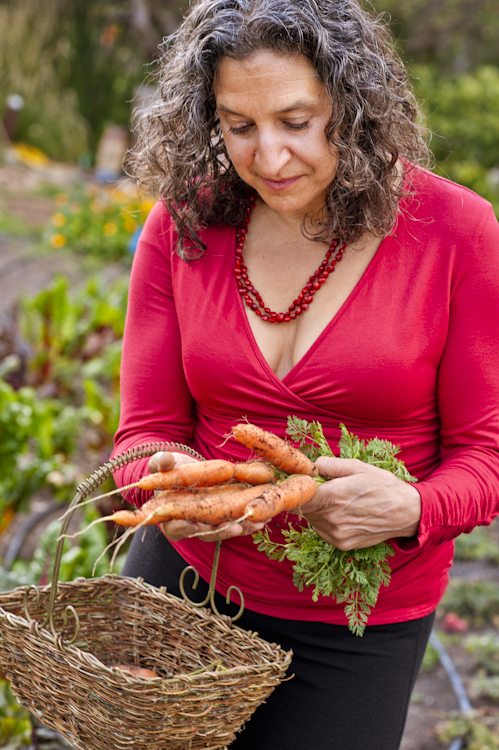 Likewise, keep your basic minestrone new and inspiring all through the winter by swapping vegetables. Use butternut squash instead of carrots, leeks for onions for example. Other times change the beans from pinto to kidney to other beans. Cook the beans from scratch with a sea vegetable, like kelp. Another time, switch the sea vegetable to dulse, or skip the seaweed, and just use spices. And of course, you can vary the herbs, too. Finally, flavored oils can take the place of some herbs and spices. My enthusiasm for creating new recipes and menus comes from the local harvest. For instance, in June the markets near my western Massachusetts home yield strawberries, spinach, baby red kale, arugula, radishes, lettuce, mustard greens, and mizuna (an Asian green leafy vegetable that you can eat like spinach). Perennial herbs like chives, oregano, garlic chives, sage, and sorrel abound. Simultaneously harvested, they become the natural choices to mix and match into savory salads, dressings, quiche, scrambled tofu, sushi rice rolls, and pasta dishes. During summer, crunchy fresh string beans, cherry tomatoes, and sweet baby carrots are wonderful in salads dressed with aromatic basil. The first zucchini and eggplant inspires me to fire up the grill. Come fall, collards, red peppers, and cilantro, revitalize the tofu scramble. The vibrant cool weather leafy kale, moist to the touch seduces me in winter when spinach is out of season. Kale becomes the green to use in quiche, soups and stews. When we take our cues from Mother Nature, she gives us plenty of guidance. The weather affects our cooking methods, too. In hot weather, you may want to stay away from the stove. Quick grilled vegetables and tofu, refreshing smoothies, marinated salads with corn, berries, and chevre cool you off. To beat the heat, cook beans, pasta, or grains in the early morning or the night before when the house is cool. Cold winter days are ideal for long simmering soups, garlicky roasted vegetables and spicy stews made with the vegetables of the season: potatoes, carrots, winter squash, and yams. An attractive garnish can enliven any dish. For example, decorate summer pasta salads with yellow calendula flowers and bright red bee balm for a splash of color. Toasted nuts and seeds on top of green salads add a contrasting texture. Chopped herbs on cooked rice give a delicate fragrance. These simple pleasures charm the heart. Recipes are not etched in stone in my kitchen, nor should they be in yours. The more you cook, the easier it becomes to improvise. Calm and confident, you can focus; choose ingredients, rinse and chop, mix and taste. Your inner wisdom will tell you when to follow pure intuition and when to stop and think it out. This entry was posted in Articles and tagged Cooking with Herbs, Gourmet Foods, leslie cerier, local, Organic, seasonal cooking, vegetarian, whole foods on 10/08/2014 by Leslie Cerier.